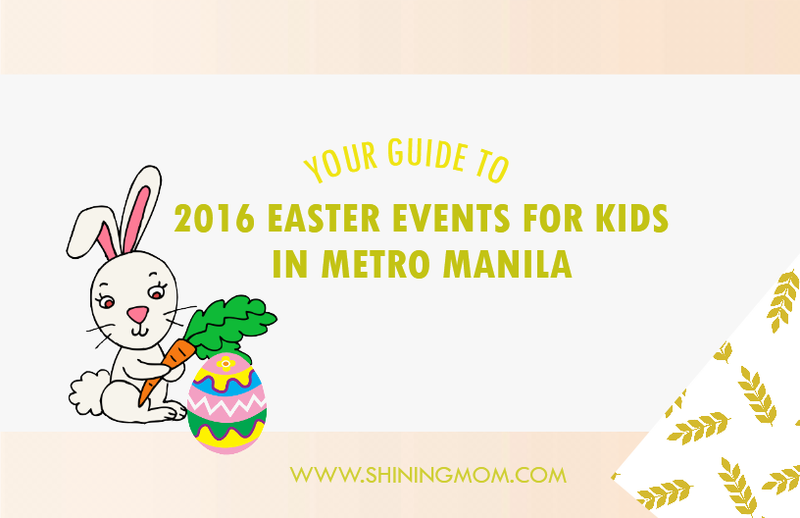 Here’s your guide to 2016 Easter events for kids in the metro! Easter Sunday is always an exciting day of celebration, isn’t it? And if you’re a mom just like me, I know how you always try to make the day extra special day for the kids. Some of you could be preparing a simple Easter party at home while others could be dating out for Easter egg hunts in family-friendly locations. 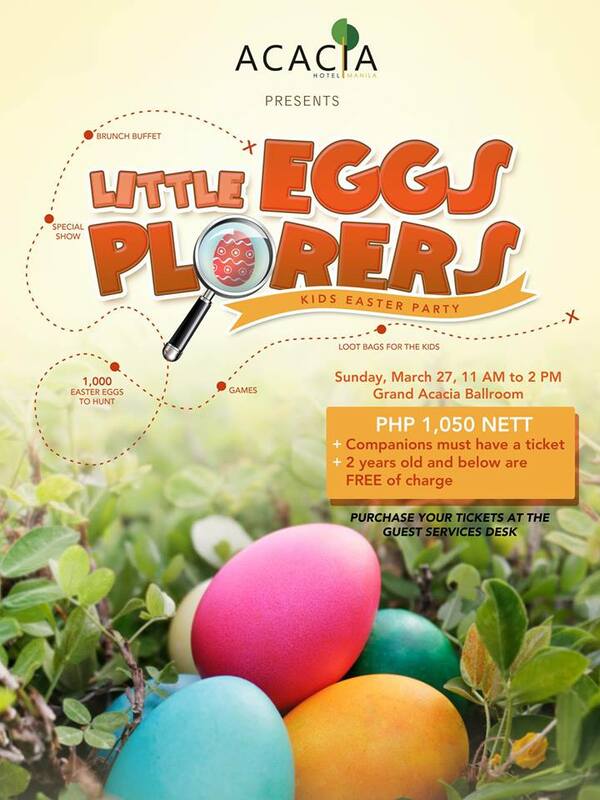 If you’re planning to treat your kids out on Easter Sunday, today on the blog, I am again rounding up some spots here in Metro Manila that offer Easter parties to make the day memorable for your little ones. I know a lot of you are already scouting for places where you could take your kids. 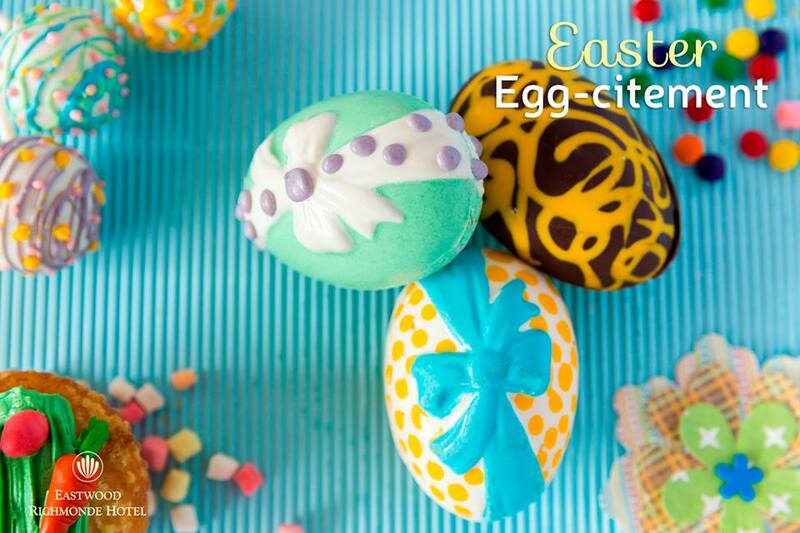 Here, take a look at our guide for Easter egg hunt events in Metro Manila t. I’ve listed places where your kiddos (and the entire family) can go out and enjoy. Ready the baskets! 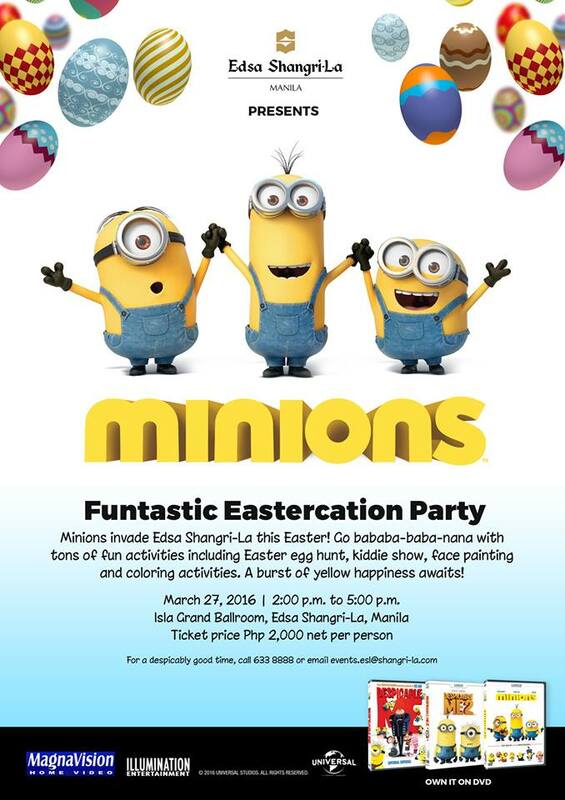 Have your kids go bababa-baba-nana this Easter as the adorable Minions invade Edsa Shangri-La, Manila’s Isla Grand Ballroom! 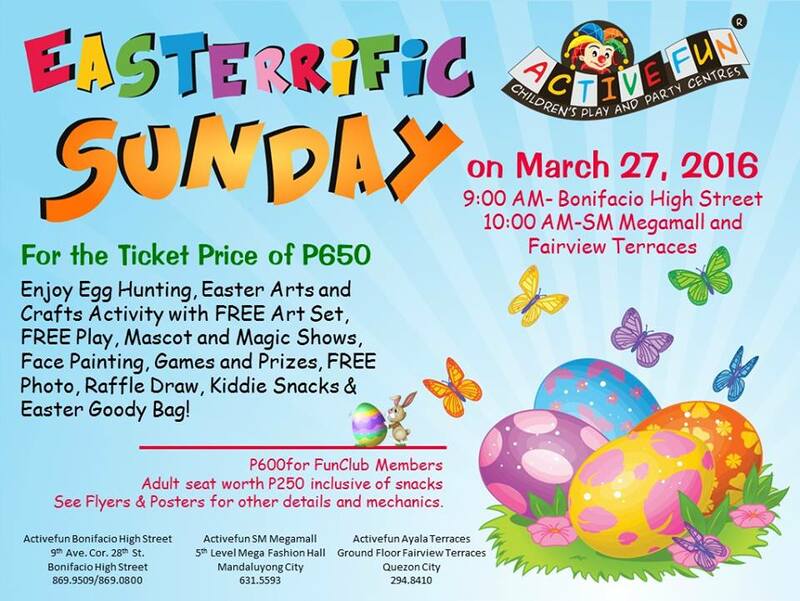 Activities: Easter Egg Hunt, Kiddie Show, Face Painting and more! To celebrate Jesus Christ’s resurrection, egg hunting, magic show plus other activities await your kids at Richmonde! Instead of the traditional Easter egg hunting, kids will be challenged to climb into Activefun’s multi-level play facility to comb around and collect as many Easter Eggs as they can! Other activities lined up include arts and crafts, magic shows and face painting! Eggs take the center stage for the Egg-citing Easter Weekend at Fun Ranch! 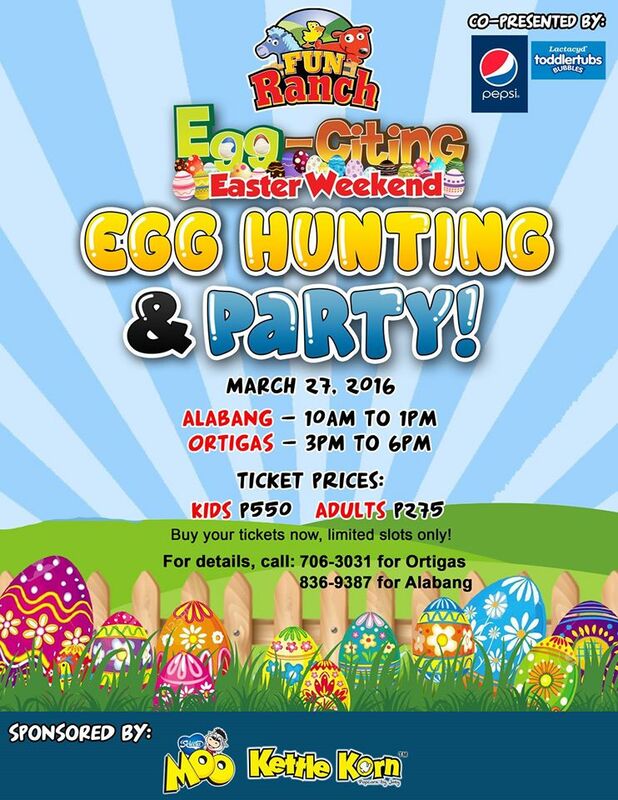 Aside from the egg hunting activity, kids will also enjoy the photo booth, kiddie salon and magic show arranged for them! When: Sunday, March 27, 2016 from 10:00 a.m. to 1:00 p.m. at Fun Ranch Alabang and 3:00 p.m. to 6:00 p.m. at Ortigas branch. 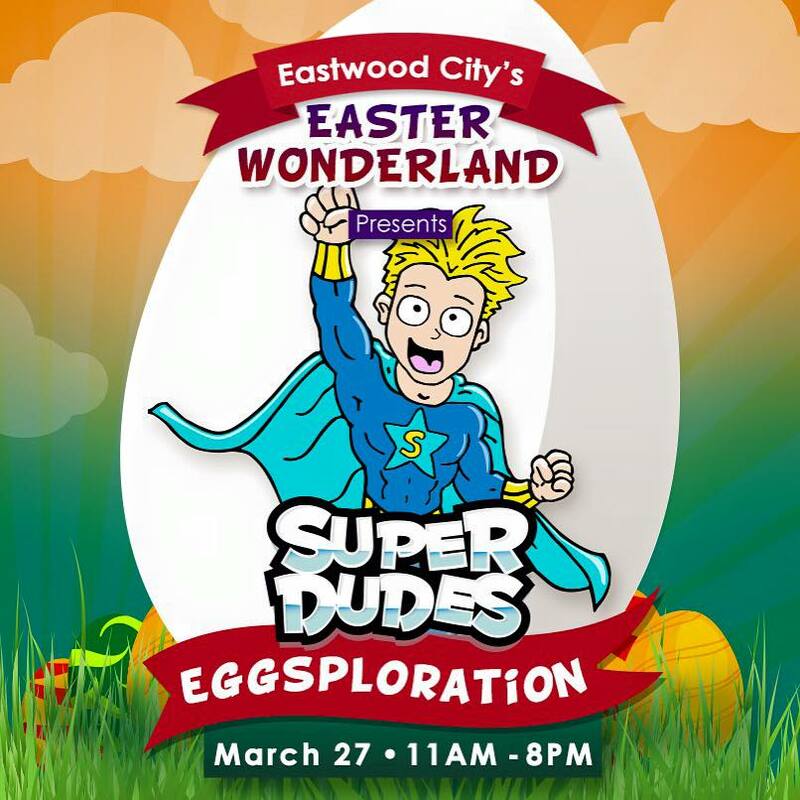 Kids join Stevie of Hi-5 and the #Superdudes in an exciting Easter eggsploration at Eastwood City! Rate: P599 (1 child and 1 adult companion). The ticket comes with a booklet that gives you access to all activities and a loot bag. 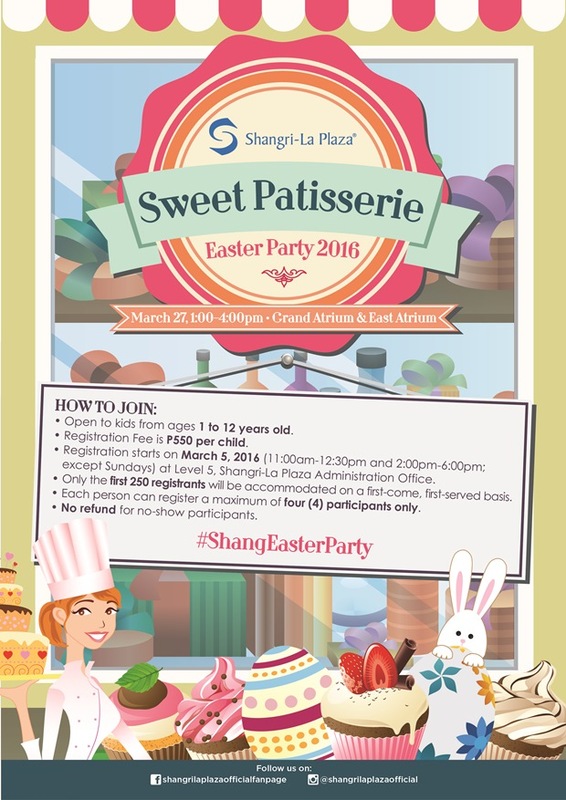 The Easter celebration at Diamond Hotel leveled up! Date your kids at the Sugarland Playground and have your family photo taken! Then, activities like face & egg painting, cupcake decorating, photo booth, games, glimmer tattoo, kids’ salon and musical entertainment are prepared up for them! 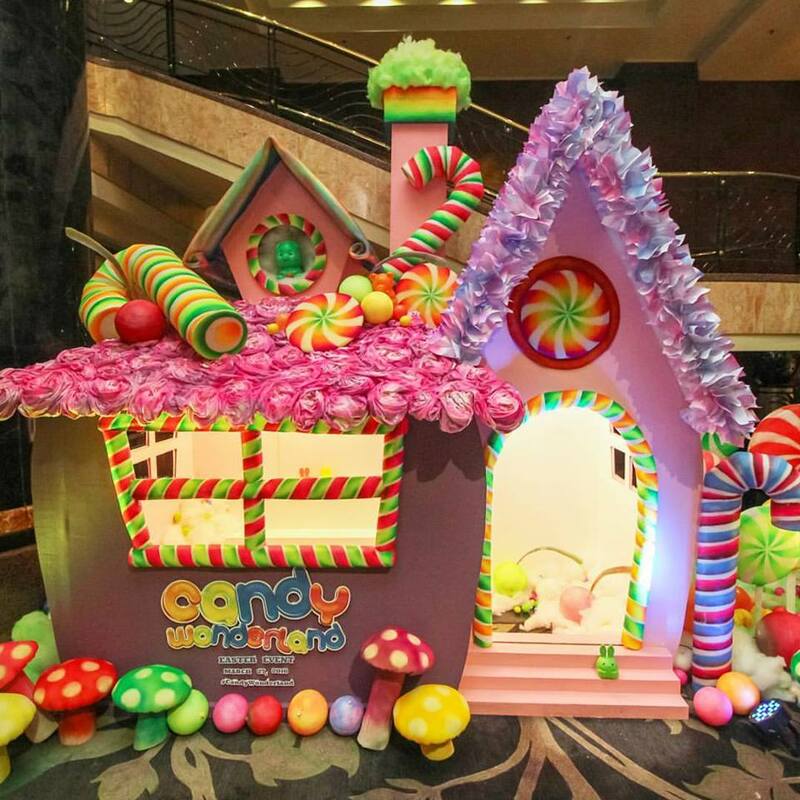 Note: Kids in their candyland-inspired costume will get a chance to win exciting prizes. 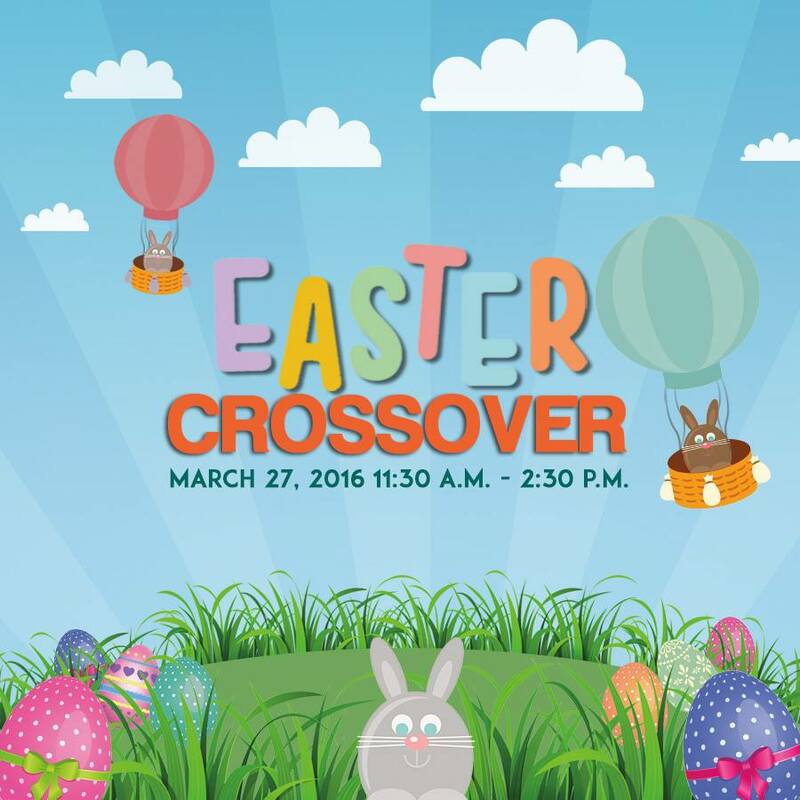 Celebrate Easter the Crossover Reloaded Sunday Brunch way at Dusit Thani! Kids get to enjoy the Easter activities such as magic show, face painting, balloon twisting and arts & crafts especially created for them! 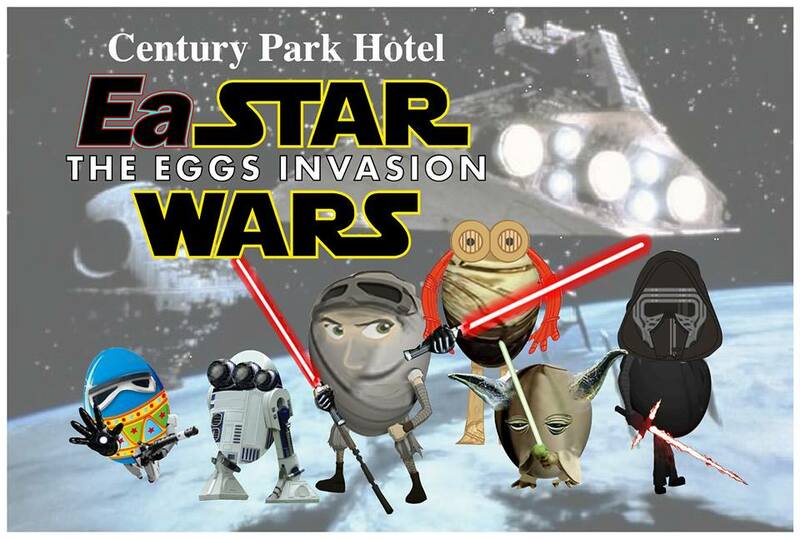 It’s going to be a land full of egg-citing activities at Century Park Hotel! There will be fun games and a coloring contest for the kids with amazing prizes to win! 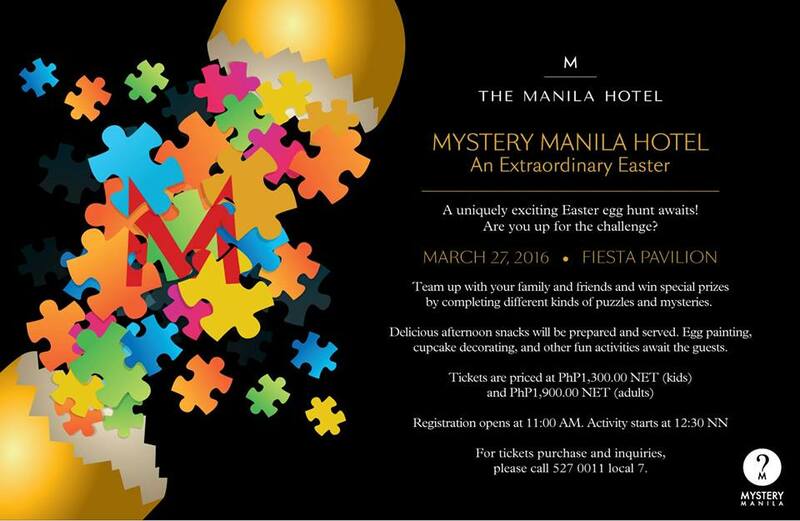 Easter egg hunt gets a unique twist this year as Manila Hotel and Mystery Manila are changing the game on Easter Sunday! Strategy and teamwork will be your kids’ best tools as special areas of the hotel will be laced with mysteries, puzzles, and mental and physical challenges! Other activities also lined up for them include Cupcake Decorating, Egg Painting, Film Viewing, and more! I’ll update this list soon with more locations here in Metro Manila where your family could celebrate Easter so stay tuned! Have a fun, blessed and prayerful Easter, sweet moms!